You know how much i love showing you guys new stores and deals specially now that we're in the best season to go shopping for family and of course for us as well. I recently got to know this online store www.cozbest.com and i have this habit that when i find a new store i immediately sign in and start making my wish-list there's something fun in that for some reason haha. Here i show you a glimpse of the things you could find in my wish-list i'm in love with number 1 and 6, what are your faves? Ustedes saben lo mucho que me encanta mostrarles y darles a conocer nuevas tiendas y ofertas, especialmente en estos tiempos que son los mejores para salir de compras para la familia y claro para nosotras también. Hace poco me encontré con esta tienda en línea www.cozbest.com y yo por alguna razón tengo el hábito de que cuando conozco una nueva tienda inmediatamente hago una cuenta y empiezo a hacer mi ''wish-list'' hay algo divertido en hacerlo haha. Aquí les muestro solo un poco de lo que pueden encontrar en mi lista, yo estoy enamorada del número 1 y 6, cuales son sus favoritos? Love the blue shoes and the white dress :) gorgeous! What a great wishlist. I love those pink shoes. 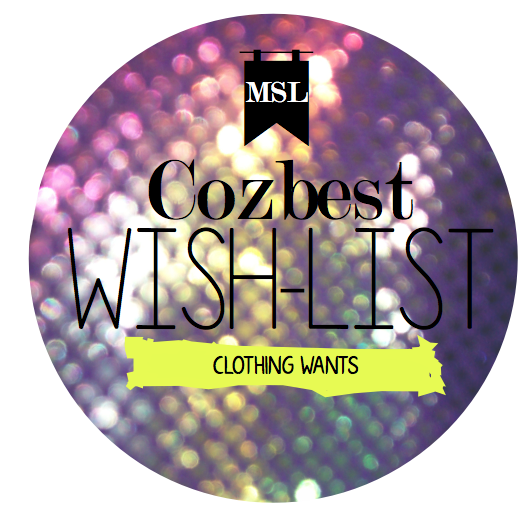 great wishlist! I like most that colorful platform sandal! I love that black dress, the collar on it is perfection! no.3 looks like such a beautiful shoe! Love all the dresses you picked, so pretty! Lovely blog! Love number 6 and 4! Me encanta el numero 6! Te espero por mi blog, tengo nueva entrada, un beso! Love the shoes! I'm your newest follower :) Theres a new post up on my blog, and I would love for you to check it out! The #4 dress is very cute. proprio bella questa lista dei desideri! I just found your blog and I'm so happy I did! I love your sense of unique style. New follower!! Would love if you followed back. Hi beautiful, thanks for sharing a great resource for pretty stuffs. I am obsessed with shoes and I <3 blue leather point toe pump. BTW that red lace skater dress is also amazing. A mi me gusto el vestido número 4 y los zapatos número 2.
muchas gracias por pasarte por mi blog! Ya te sigo yo también. and i just fall in love with your blog ! by the way , would you like to follow each other ?